Why it matters: Samsung created its C-Lab in 2012 as an incubator of innovative ideas from employees. Projects that advance to the end of the program can be spun off into standalone start-ups that Samsung supports through seed money investments and business consulting. Samsung at the annual Consumer Electronics Show will highlight eight new projects from its C-Lab (Creative Lab) program including an auto-adjusting monitor stand and a hearing assistant solution called SnailSound. 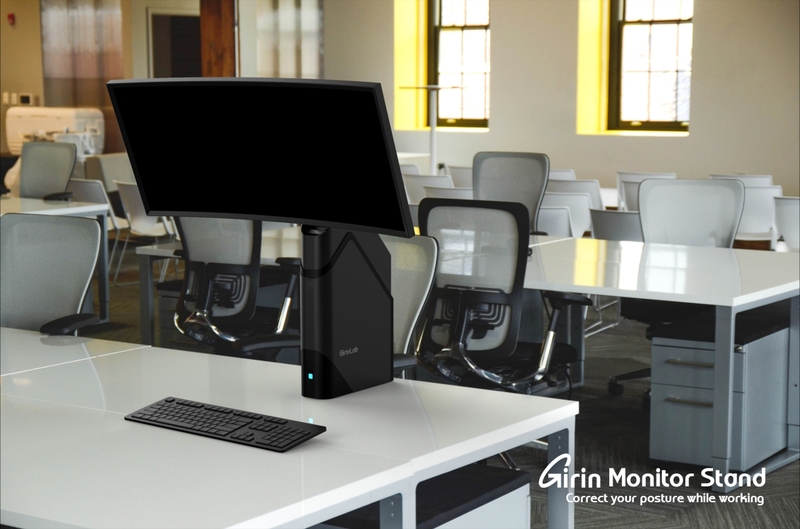 The Girin Monitor Stand is designed to help improve users’ posture while they work on their computers. Sensors within the stand survey head and neck positioning in real-time; when a user is exhibiting poor posture, the monitor slowly moves so the person will adjust how they are sitting. The hope is that with repeated training, users may learn to correct poor posture naturally. SnailSound, meanwhile, consists of an earpiece and an app. Through basic hearing tests, the app gathers user-preferred sounds and calibrates the earpiece accordingly. The setup also uses non-linear amplification and AI-based noise suppression algorithms to improve hearing across a wide range of environments. Some of Samsung’s more “out there” projects include a perfume blender that helps people make custom fragrances and a virtual ad service that displays ads on clothing. All of the new C-Lab projects are related to artificial intelligence. The feedback Samsung receives at the show will help prepare the projects for the prototyping phase as they journey down the path of eventually becoming finished products ready for the consumer market. CES 2019 kicks off on January 8, 2019, and runs through the 11th in Las Vegas.